The perfect gift for quilters! 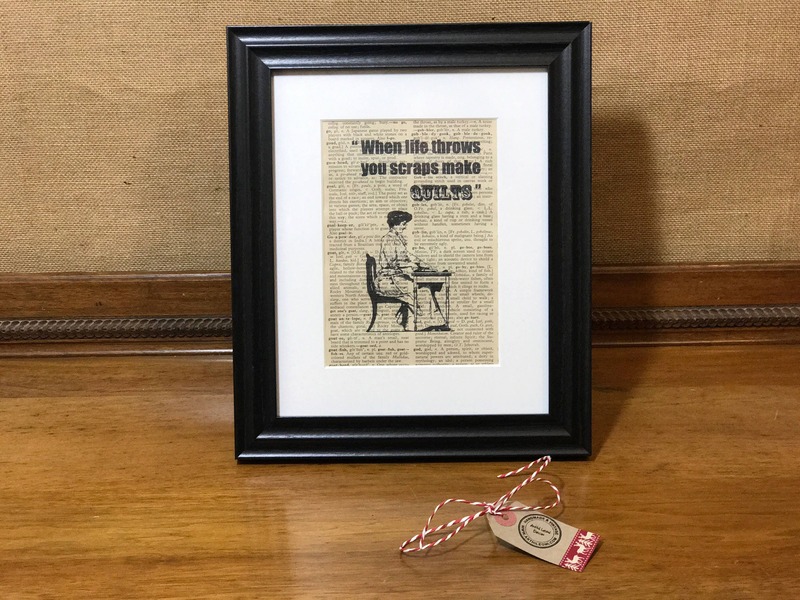 An inspirational quilting themed dictionary print, quoting "WHEN LIFE THROWS YOU SCRAPS MAKE QUILTS". 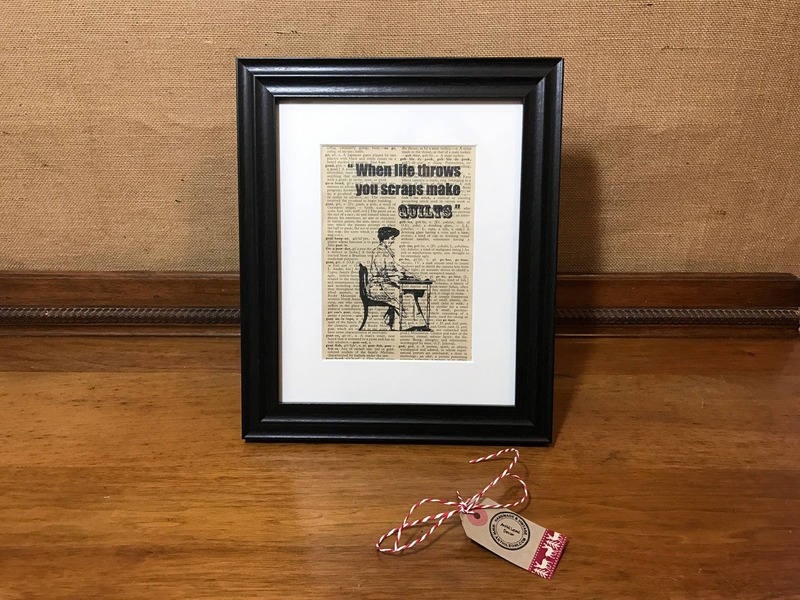 A vintage inspired design, printed on an old dictionary book page, depicting a victorian lady sitting at an antique sewing machine with steam punk style typography. 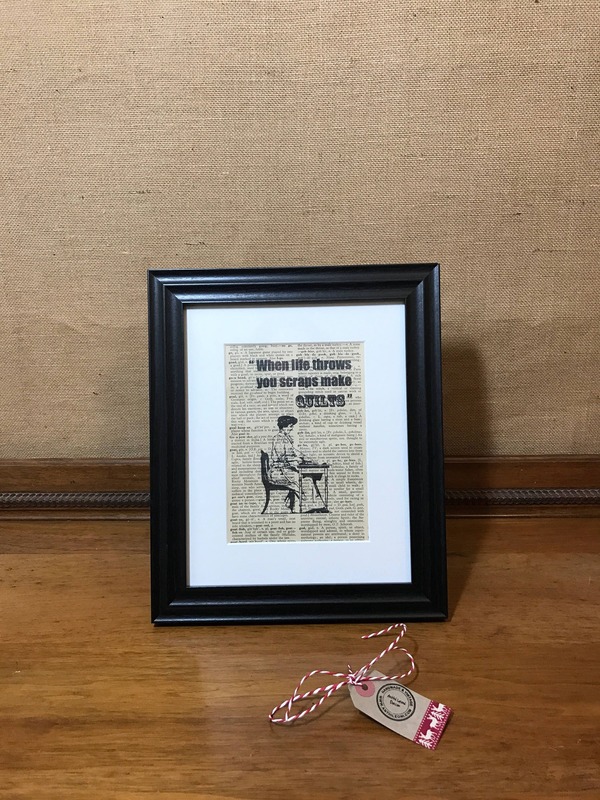 Pair up with other dictionary page prints from my collection and take advantage of my special promotion BUY 2 GET ONE FREE - Simply add two to your basket and let me know your third choice in the note to seller! A wonderful print that will inspire your passion to quilt, sew or craft. Also a positive and inspirational life quote with some humour thrown in! 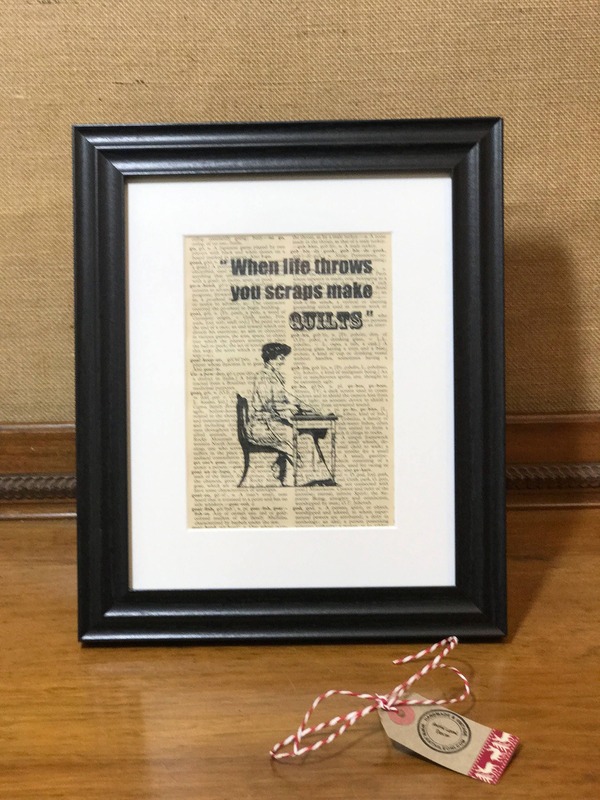 Ideal for the craft room wall, lounge, living or dining room of any sewing enthusiast. 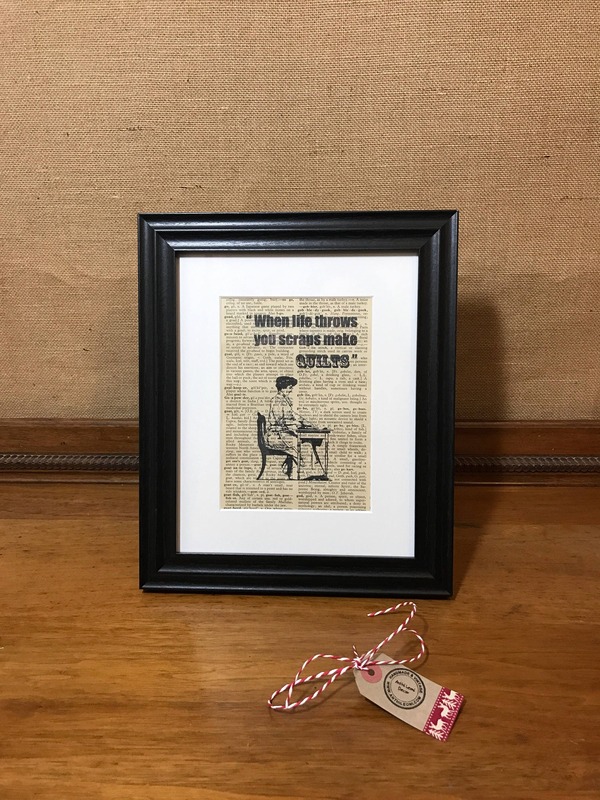 If you're a sewer, seamstress, quilter, tailor or crafter, then you'll love this mounted print. 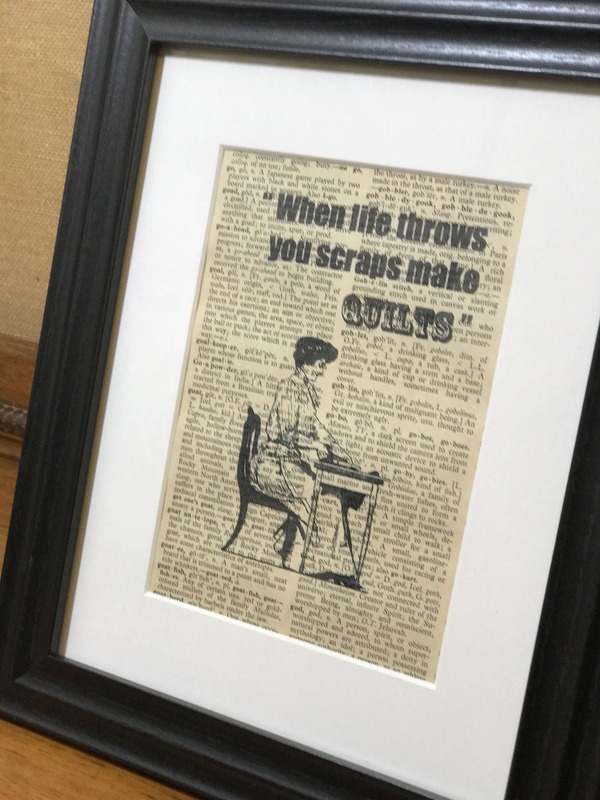 Give as a gift or hang on your wall for inspiration, either way it's the perfect choice for any sewing room wall. + Frame can be hung or stand alone. Simply add to your shopping basket this Christmas sand checkout for purchase!